Melville Medical Care (Huntington Station) - Book Appointment Online! At Melville Medical Care in Huntington Station, New York, Dr. Sonia Qadir uses her clinical expertise to diagnose and treat her patients with compassionate care. As a primary care doctor, Dr. Qadir focuses on the prevention of disease, as well as comprehensive treatment for acute and chronic health conditions. We also offer same-day appointments for urgent care visits as well as weekend hours on Saturday. Vaccinations and physicals for school and work can usually be scheduled on the same day, as well. For a primary care doctor who truly cares about the health and well-being of her patients, visit Dr. Qadir at Melville Medical Care in Huntington Station, NY for all of your health care needs. 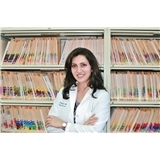 Dr. Qadir is very nice and professional.. She listens and does everything she can to help you feel better..